Two parallel rectangles are filled with diamonds and s-shapes, as in fragment EA1984.294. Both rectangles have small triangular borders along their longer sides, again as in EA1984.294. 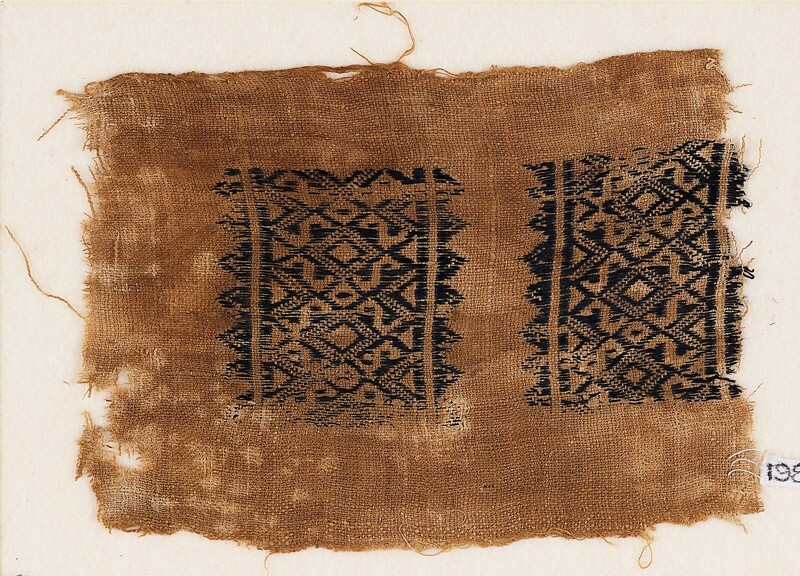 The fragment may have a selvedge on either long side, possibly with remains of flax sewing fibre. It is heavily stained yellow. In all respects of design and technical construction the fragment is identical to EA1984.294, and it is likely that both were part of the same textile.